The full competition schedule for the WFDF 2018 World Ultimate Club Championships is now available on the WUCC website. The teams page is also updated with direct links to every team’s roster (and, eventually, results and statistics). 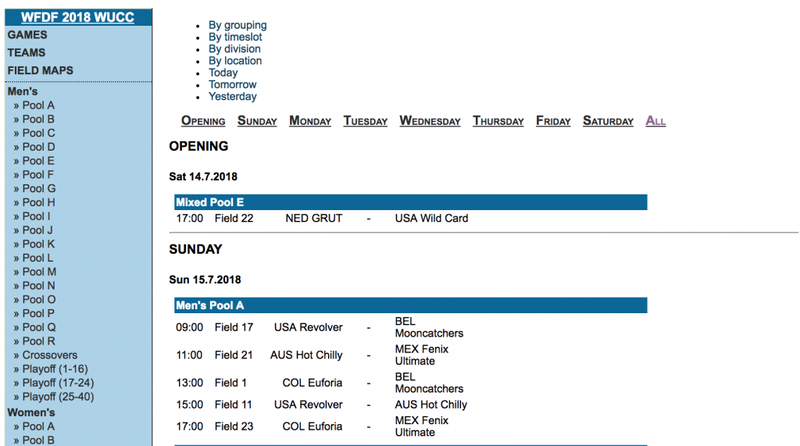 Comments on "WUCC Schedule, Team Rosters Now Available"